Once in a Full Moon was much better than I thought it would be. Though the storyline is still very similar to Schreiber's Vampire Kisses series - new boy comes to town, girl falls madly in lust with him for no particular reason, girl discovers boy's secret, etc., etc. - the werewolf aspect and a few key changes help the story to stand on its own two feet. 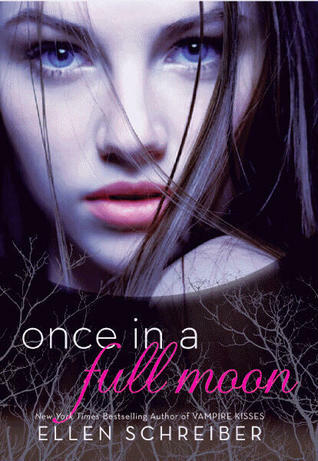 While I am a little disappointed that this author doesn't seem to be able to write a book wherein the female protagonist doesn't completely lose herself in the male love interest, this series doesn't seem to take it to the same extent as Vampire Kisses. Schreiber's books are all very light reads, so they're perfect for when you need a break from something darker.